Strangely, Wirksworth probably saw a greater variety passenger trains than ever before. Sadly most did not convey passengers but the occasional excursion train both originated from Wirksworth or it was the destination. The variety came in the form of testing. Being (a) close to Derby and (b) quite quiet, the Wirksworth branch became a very suitable location to test the hundreds of Diesel Multiple Unit (DMU) trains that started construction from 1954 onwards. 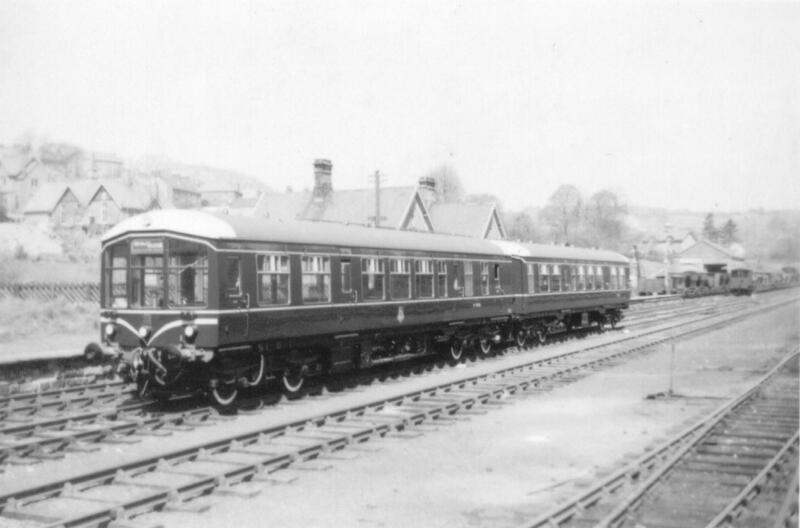 Very many of the DMUs built at Derby Carriage and Wagon works (now Bombardier Transportation), took their acceptance test run to Wirksworth where they could be checked-out and confirmed fit for service. By all accounts, trips out to Wirksworth were popular with the crews. Wirksworth had (and still has) many welcoming hostelries providing lunchtime refreshment, while an abundance of blackberries along the line provided a welcome filling for many pies made in Derby. There were a few catches: by all accounts the Carriage and Wagon supervisor at Wirksworth had a nasty habit of ‘snagging’ units, while a collision with one of the many game birds still to be found on the line even today could result in an explosion of feathers if the train was running with the floor inspection hatches open! Testing and excursions were pleasant diversions but the lifeblood of Wirksworth was now goods traffic, particularly limestone. The quarries and processing plants of Wirksworth, Middleton, Hopton, and Brassington were well provided-for. The former Cromford & High Peak line threaded its way across the north of Wirksworth, while Dale and Middlepeak quarries mostly fed the Wirksworth branch. 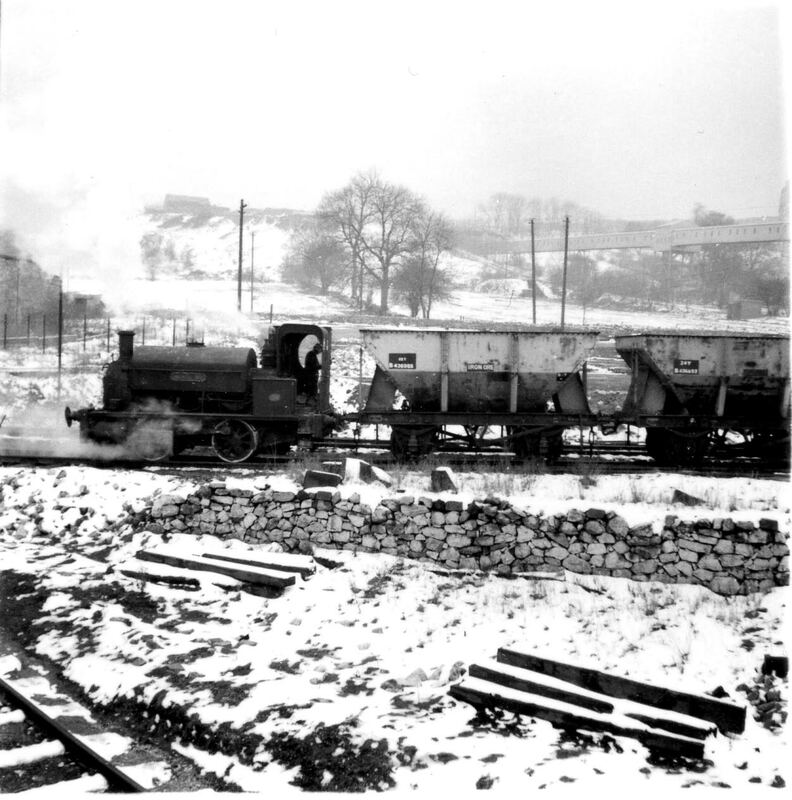 From the mid-1950s, the output of Middlepeak quarry was concentrated through a conveyor leading to the Ravenstor area of Wirksworth where wagons were loaded and then tripped down to Wirksworth yard. Dale Quarry fed the yard through a tunnel, originally rail-served but eventually fed by a stream of lorries operating a circuit that left the centre of Wirksworth covered in dust. A major destination for Wirksworth limestone was Stewarts & Lloyds steelworks at Corby. 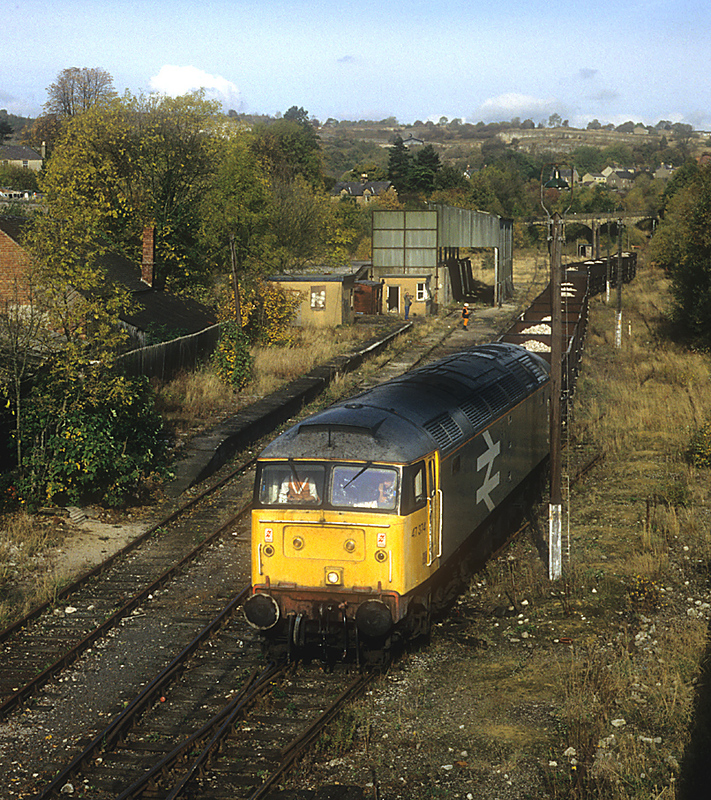 This view taken in October 1967 by John Wiltshire (via Peter Brabham on Flickr) shows a rake of limestone hoppers, quite probably originating from Wirksworth. In this image by Anthony Plumb, the same type of wagon seen at Corby Steelworks above is being shunted while the conveyor from Middlepeak Quarry can be seen in the background. Although the wagon is marked ‘Iron Ore’ they were used on the limestone circuit too. 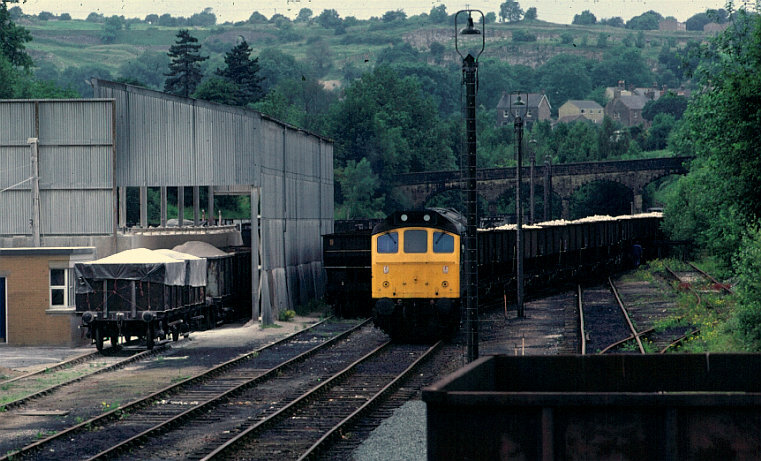 Parts of Wirksworth yard still contain pellets of iron ore that came from these wagons. In 1967, the Cromford & High Peak line was closed. This relic of the earliest days of the railways (opening in 1825) was expensive to operate, being lightly-engineered, having curves too tight for most locomotives and using rope-worked steep inclines, economies could be taken by diverting traffic to Wirksworth station, just a mile or two away. 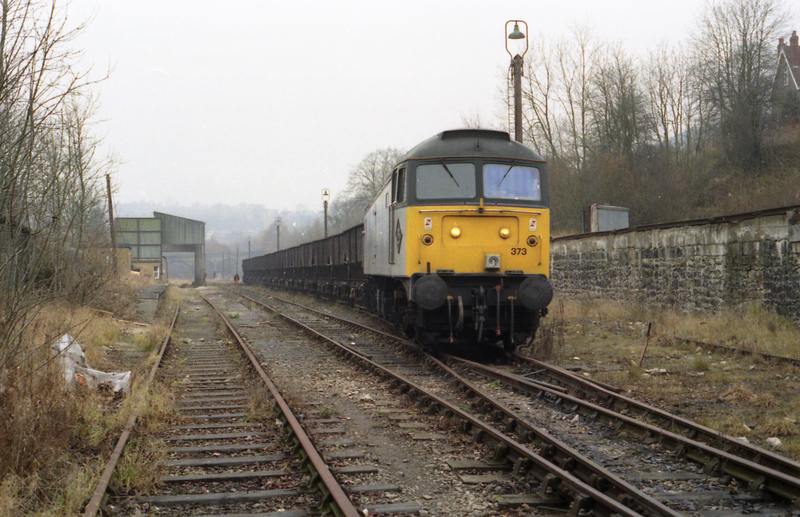 The station building at Wirksworth was demolished and in its place was built a Dust Dock: a 15-foot high mound designed to be loaded from road lorries. Ugly but functional, it secured the life of the Wirksworth branch during a period when branch lines were closing every month. This view taken in the late 1970s by Gerry Vaughan shows the Dust Dock in use. Its location is roughly where the station building was located. The locomotive is bringing a rake of loaded wagons from Middlepeak Quarry. A casual visitor to Wirksworth in the mid-1980s might have been forgiven for thinking that the branch had a bright future, especially if they had arrived on a Wirksworth Phoenix special train in one of BR’s newest ‘Sprinter’ trains. However, the truth was less optimistic. Corby Steelworks closed in 1981, while the completion of the M25 rather drew a line under the motorway construction boom of the 1960s and 70s that provided another source of traffic from Wirksworth. By the late 1980s, only sugar stone traffic to South Lynn remained. The sprinter trains were a result of a truly inspired initiative by Cromford Church Restoration Committee and the Arkwright Society under the title Venture Rail. 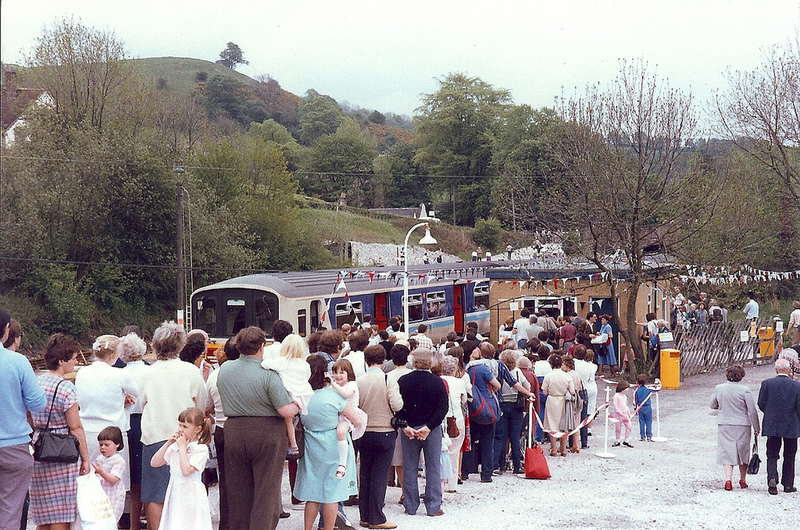 The Welldressings in Wirksworth in 1985, 86 and 87 brought timetabled passenger train services to Wirksworth for the first time in 28 years. 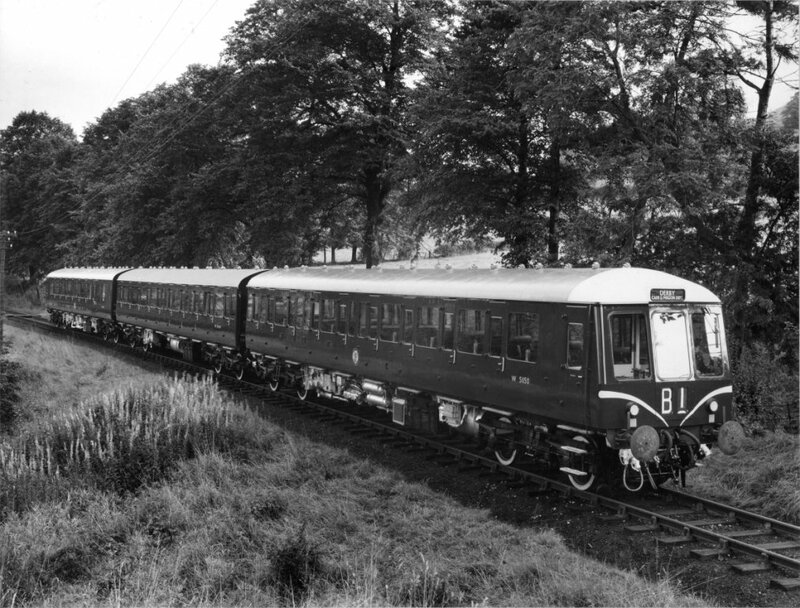 They were incredibly popular with trains full to standing with British Railways providing only their very latest trains in the form of Class 150 and 151 Sprinters. This study by Edward Kitchen shows Wirksworth Station on 26 May 1985 with queues of passengers standing on the Dust Dock’s ramp. This brief and exciting interlude hid the branch line’s declining fortunes. Despite the station being spruced-up for the Phoenix trains, the yard had become de-manned with train crews officiating for the few trains that remained. The line’s existence as an active part of the rail network ended with a whimper on Monday 4th December 1989. Two final passenger specials ran to Wirksworth on 22 April as part of the celebrations for the 150th anniversary of the Midland Counties Railway and freight traffic petered-out over the following months.